Thanks to a partnership with BIA OVERSEAS GROUP since 2003, the company AZ IMPEX takes care of the representation of BIA GROUP’s brands & products on the Rwandan territory. AZ IMPEX offers therefore a large catalog of construction, mining & handling machinery and equipment, with brands at the cutting edge of technology such as KOMATSU, BOMAG, SANDVIK, TEREX CRANES, CUMMINS, TECNOGEN & YALE. AZ IMPEX represents also the cranes manufacturer SENNEBOGEN. 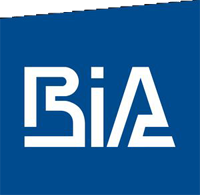 BIA OVERSEAS is a pioneer concerning the distribution of civil engineering, construction, handling & Mining machinery since 1902. BIA OVERSEAS, originally based in Benelux, is nowadays present in 24 countries in Africa, with proper local infrastructures able to offer to the client a top quality service. BIA OVERSEAS aim to advice and assist its clients in their projects in the field of mining, forestry, quarries and civil engineering.